Among the schools in Molino Cavite, Statefields School Inc. is one of the popular and first schools to anchor its curriculum of Multiple Intelligences by Howard Gardner, to transform society through collaborative educational excellence. When I started school hunting at Cavite last year, coming from the word-of-mouth of different parents and people, they all said the same good feed backs about Statefields. My son supposed to be studying here last year but we are too late for the application because we just moved to Cavite last mid of April 2014. I am still grateful that a school nearby within the village accepted my son for grade 1 (I will blog about this good school in my coming posts). For this school year 2015-2016, my son will be in grade 2. We are planning to transfer him to Statefields School that is why as early as December, I started my inquiry. a) Grades not in numeric form must be provided with numerical equivalent. b) English translation must be provided for report cards using other languages. 1.5 Recommendation Letter from previous school (required from GS 1 to HS IV) Forms are available at the Guidance Office. This should be passed before the release of the Entrance Test. Before submitting the documents required in a long brown envelop, make sure to download, print and fill in the SSI admission form that can be found at their website admission requirements page. Once you submitted the admission requirements, prepare to pay the testing fee of P270 as of 2015 and you will be given a test schedule. During the test period, we took a tour at Statefields school headed by their admission’s staff. They showed the classrooms of the high school and grade school students which I found just right for the number of students. 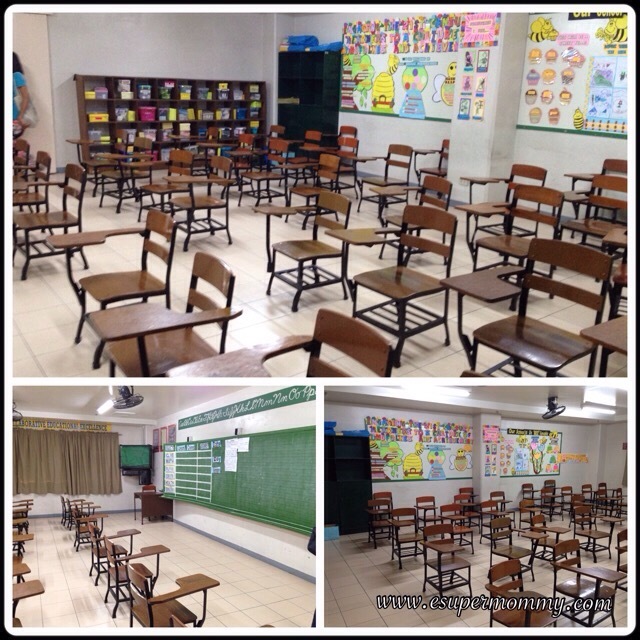 They said that it can accommodate up to 35/ 36 students per classroom. All classrooms are air conditioned and has a multimedia TV. They also have an arm chair for left-handed students. 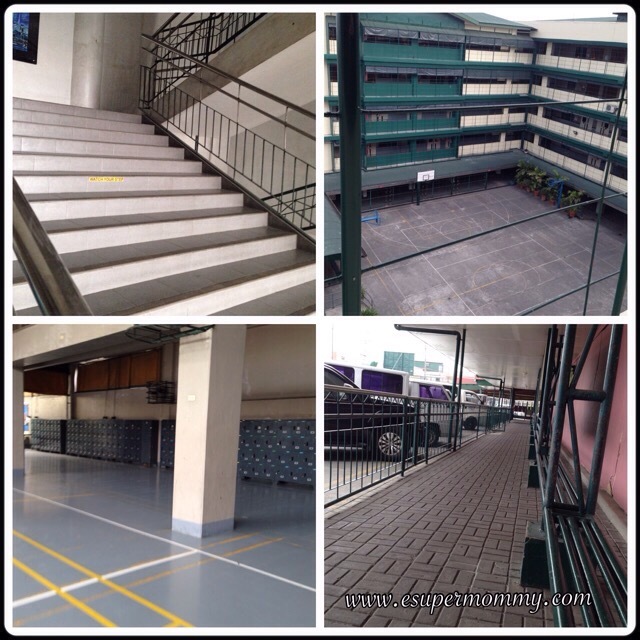 The stairs of the school building have small steps which is not tiring when using it. There are benches for fetcher’s waiting, locker rooms, and their quadrangle has a basketball court. 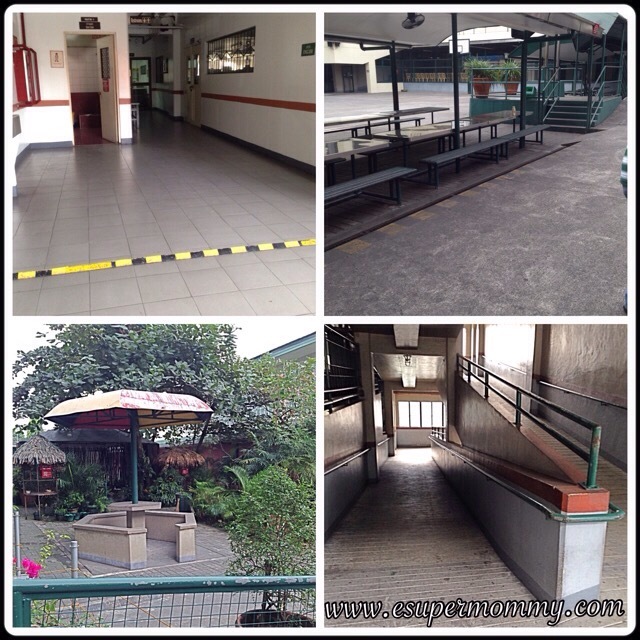 Comfort rooms are located at both corners of the building and there is a ramp for student with trolly bags. They have the what they called sanctuary for student’s place for solitude and prayer to cultivate students interpersonal intelligence. They have different laboratory rooms such as the Daza room for baking/ cooking, A. Flores room, drafting room, and they have a dance studio surrounded by mirrors. Statefields has a well-ventilated canteen area at the ground floor. Their gymnasium is one of the biggest here in Cavite that can accommodate a thousand of people. Their test schedule started at 8:00 AM and ended at 11:30 AM for grade school. The test result release is after a week of the examination period. For the tuition fee, some parents with kids studying there told me that the tuition fee plus other expenses will cost you about P50, 000 for the whole school year. 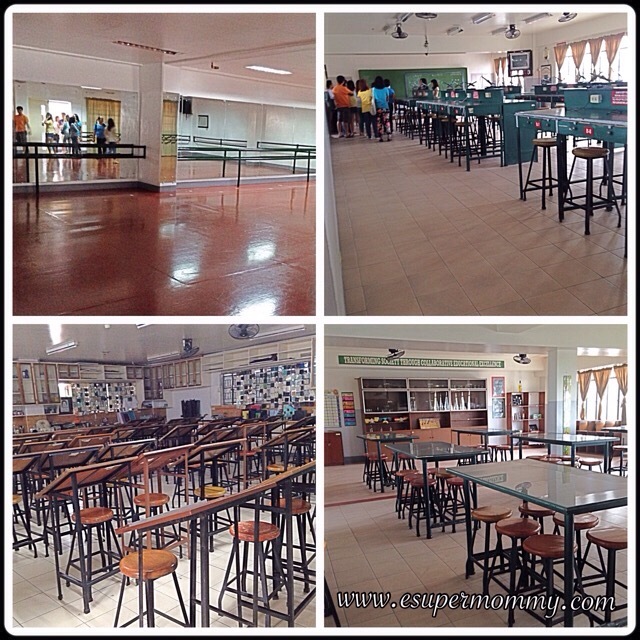 For school year 2015-2016, they haven’t come up with the final tuition fee. I will update this post once I get the final fee from them. 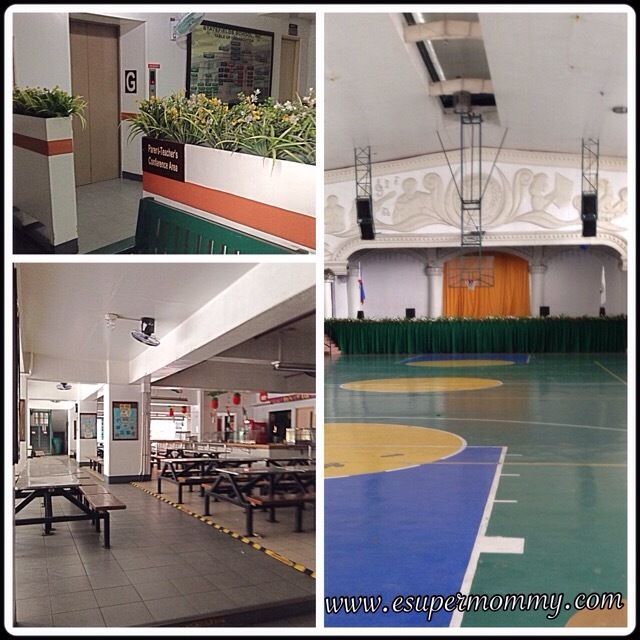 This is just one School in Molino, Bacoor Cavite: Statefields School that have good feed backs nearest to our place. Other schools with good feed backs are Divine Light Academy, Harell Horne Integrated school, and Creative Education for Life Learning. Hi! Proud Alumni of Statefields here, I tell you, worth it ang tuition dun, my 3 older siblings also graduated there, kasama na kasi sa tuition ang field trips and other activities, and every friday we have silent readings and journal writings and pag first friday merong Mass. The school also has interest clubs your child can join to enhance their skill and talents. Para sakin naging masaya yung stay ko sa Statefields, naexperience ko halos lahat; sports, performing arts, and volunteer works. In terms of academics naman, hindi siya traditional kasi iniincorporate ng mga teachers yung iba ibang ways para maintindihan ng mga students yung lesson. Students also get to experience theater plays in class, where in sila ang mag didirect, gagawa ng props, costumes.They also applied now yung K-12. l iHi! Proud Alumni of Statefields here, I tell you, worth it ang tuition dun, my 3 older siblings also graduated there, kasama na kasi sa tuition ang field trips and other activities, and every friday we silent readings and journal writings and pag first friday merong Mass. The school also has interest clubs your child can join to enhance their skill and talents. In terms of academics naman, hindi siya traditional kasi iniincorporate ng mga teachers yung iba ibang ways para maintindihan ng mga students yung lesson. Students also get to experience theater plays in class, where in sila ang mag didirect or magdidirect, gagawa ng props, costumes.They also applied now yung K-12. SSI is one of the first schools that offer multiple intelligence as part of their curriculumn. Hi mommy! Magkano po tuition fee for preschool? I am not sure po for the exact Tuition fee. Better call Statefields School Inc po.